Are you a frustrated bus & coach operator? Do you work all the hour’s god sends and wish you had more money for your efforts? Are you cheesed off with staff and drivers? Not getting the financial and emotional rewards out of your business? If that’s you, there is an easier way. Manage your team better so you can get the best out of people so they are engaged and productive. Create a sales & marketing plan that stands you out from the crowd to create higher margin work. Streamline your operation and create structure and systems so making more money becomes easier. 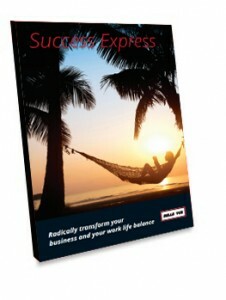 If you want to “make more money with less stress and enjoy a greater work life balance” contact us now. We help you to harness the power of IMA so you can create the best team for your coach hire company. We bring in the best marketing principles and guidelines so you can generate quality leads for your business. We help you get to grips with how your business can run like a well oiled machine, without you getting caught up in it. We help you take control of your finances so you never have to worry about any cash flow issues again.